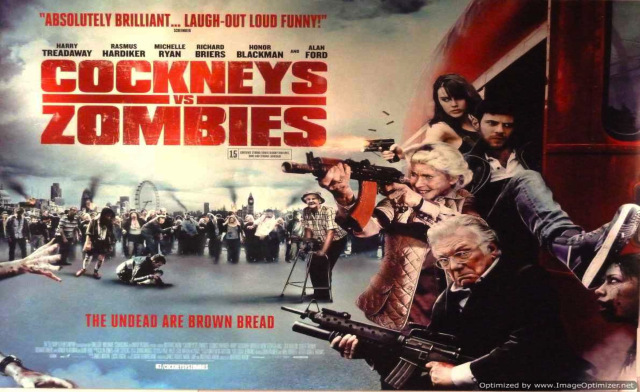 Only a British horror-comedy would pit cockney oiks and OAPs against the undead. 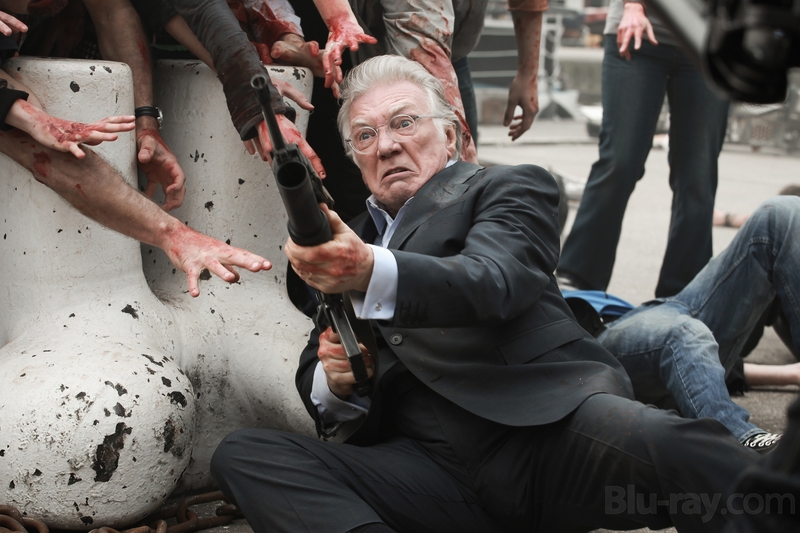 Richard Briers with a zimmer frame and an Uzi? Bring it on. A couple of crafty builders in London’s east end unearth a crypt sealed since 1666 and decide to see what they can nick from it. Cob-webbed skeletons start moving, then reach for the inept pair and – bam. We have our outbreak story explained. Now, we can get on with the blood and the feasting and the carnage. Cockneys vs Zombies is a surprisingly fun film, and much like the recent Nazi exploiter “Iron Sky“, does silly things well keeping it from slipping into genuine bad. While a zombie epidemic begins, a small group of Cockneys are about to pull a bank job and use the cash to save their grandad’s old people’s home from closure. Cockneys, see? They love family. It’s all about family. Despite bungling the robbery, they manage to escape thanks to the undead who have managed to eat the old bill who were lying in wait. Decamping to a warehouse, they realise their situation and go on a rescue mission to the OAP home. But is seems the old folk are doing pretty well by themselves, lead by the once hard-as-nails Ray who ain’t giving up without a fight. 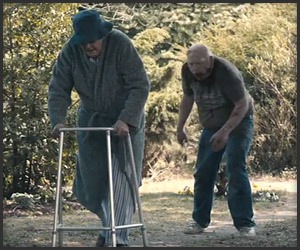 Interestingly, the film has an awareness of what zombies are and how they behave. The characters are familiar with zombie lore and use it to their advantage. Even the pensioners know it. A bite equals infection and turning, the undead shuffle slowly, you need to mash their brains to finish them off – it’s all there. They’ve seen every film listed in the Book of the Dead. As the youngsters in the warehouse squabble among themselves Ray’s pensioners are doing their best to hold off an assault. When his family arrive, totally tooled up, we get to see the likes of Richard Briars, Honor Blackman, and Tony “Get Some In!” Selby shift prodigious quantities of lead the undead’s way. It’s all handled with a big, knowing smile by director Matthias Hoene, while Harry Treadaway and Rasmus Hardiker as the grandsons of Alan Ford’s Ray, abetted by a sassy cousin in the form of Michelle Ryan, keep the rhyming slang and unremitting Cockney attitude from getting too annoying. All together now, “We’re going head-to-head, with the undead, you can fill ’em full of lead but they won’t stay dead…”.